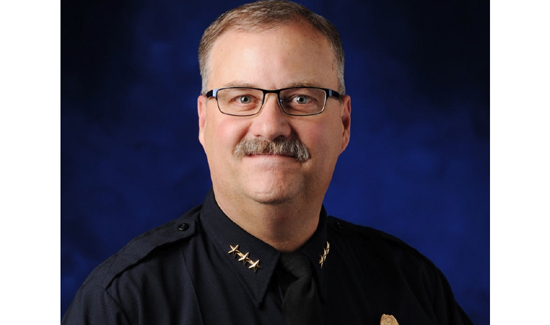 If you’re big thing is illegal immigration, and you’re a congress-critter, you might not want to invote the police chief to testify because he’s going testify about the fact that immigrants are afraid to call police, this stuff kills trust between LE and communities and other problematic issues. But if you invite the head of the local police union you’ll probably get what you need. 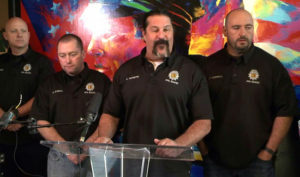 The US Supreme Court is very likely about to destroy what remains of organized labor (public sector,) with the backing of the nation’s largest police union. 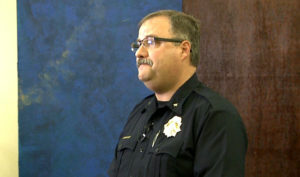 At any rate Nick Rogers, president of the Denver Police Protective Association is testifying on immigration issues after being invited by by U.S. Rep. Ken Buck, R-Colorado. Rogers is the one with stache and the ponytail. There was no data to back up the assertion. Denver Police Chief Matt Murray (below) who was not invited for obvious reasons, has the opposite opinion.